legal, regulatory, management and training for telecommunications and ICT professionals across Africa. 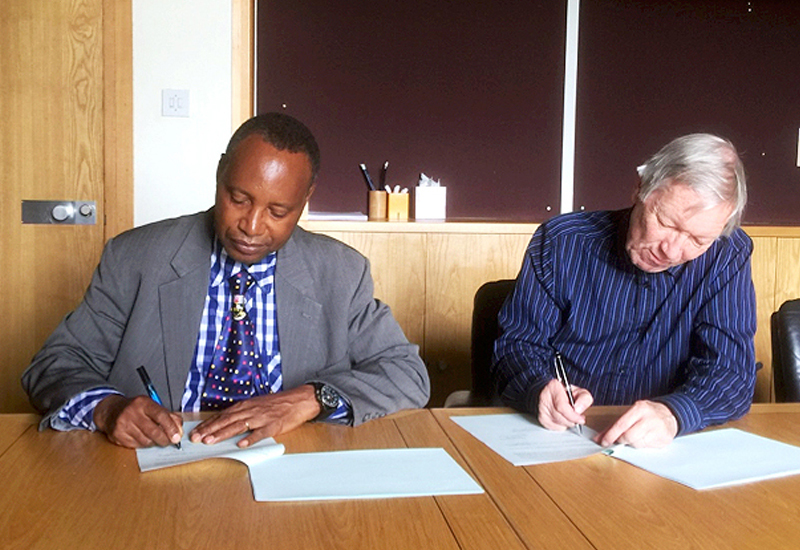 A new 5 year Memorandum of Understanding signed today between the United Kingdom Telecommunications Academy (UKTA) and the Open University of Tanzania (OUT) is designed to deliver the objectives of the World Telecommunications Development Conference on regulatory reform and human capacity building. The agreement will boost the dissemination of policy, legal, regulatory, management and training for telecommunications and ICT professionals across Africa. Initially, UKTA will present a series of courses on-line covering legal topics and leading to a Master of Laws in Information Communication Technology accredited by OUT and the parties will introduce additional courses when demand is identified. UKTA will continue to provide renowned expertise in facilitating scholarships to encourage and enable students for Least Developed Countries to participate on the programme. UKTA will also work to support the OUT in developing its human resource for sustainability of the programme. As telecommunications and ICTs transition from analogue to digital with increasing pace, legacy approaches to to regulating the sector require modernisation. The UKTA and its partners are committed to helping professionals from both the private and public sectors best navigate this change to ensure that equitable benefits of a connected world are achieved.